Moruya Parish with the support of the local community are creating a peace park with labyrinth. 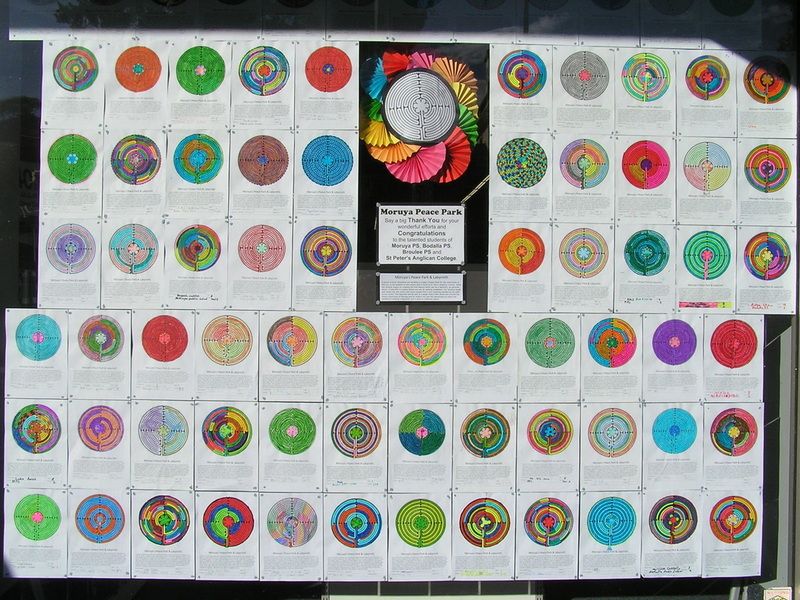 Students from Broulee Primary School have contributed with some wonderful colouring in of labyrinths. They were displayed in the window of Harris Scarfe, Moruya.